Happy Fall, Y’all. 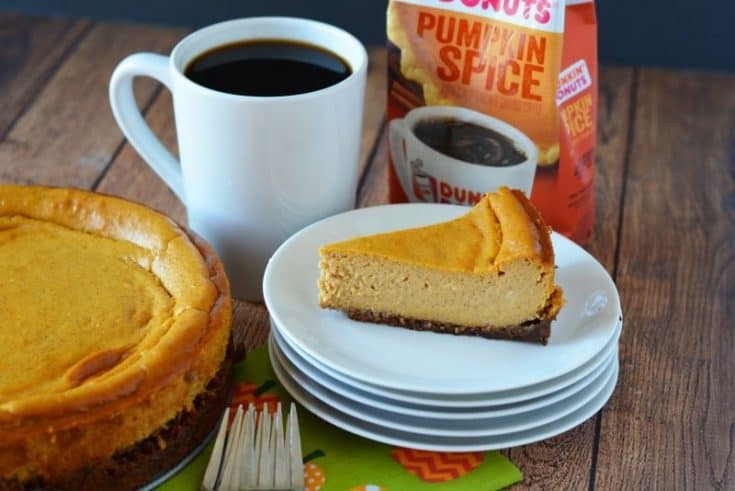 I’m sitting here enjoying a nice hot cup of Pumpkin Spice Coffee and looking forward to surprising my family with a delicious Pumpkin Spice Cheesecake for dessert tonight! I think this will be my new go-to dessert to bring when we go family and friends’ homes in the fall. It’s got all of the things I love about fall, and baked up in a delicious cake. 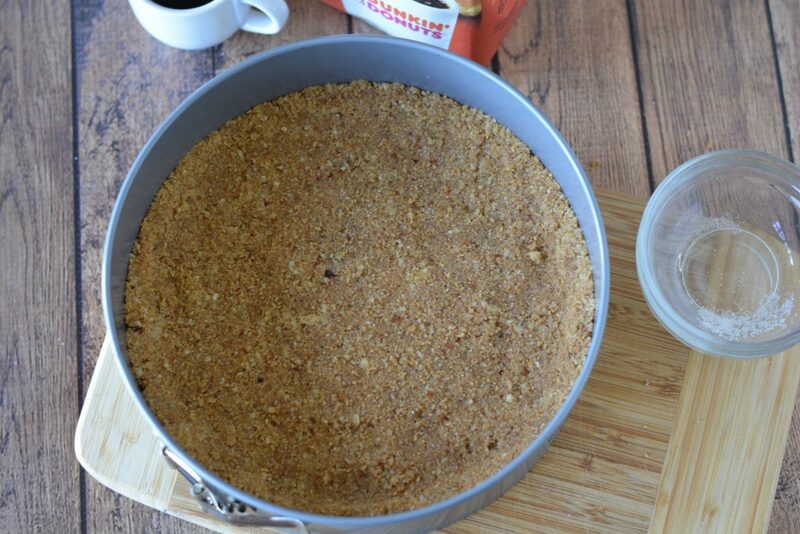 It’ll be the PERFECT dessert to bring to Thanksgiving, too! 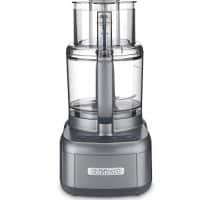 Or maybe we’ll finally be able to host and serve it from home (we’ll finally have a house with enough space to seat my family). When the seasonal coffee flavors arrive on store shelves, it’s time to play and be creative. Coffee is like home to me. It’s like a good friend who you can just sit and chat away the hours with doing many things or nothing at all. Plus, the seasonal flavors inspire me to do fun things and spoil my loved ones- remember that Coffee Glazed Coffee Cake we did last year? A family favorite. The kids get excited because I’m “letting” them have coffee so they feel grown up. 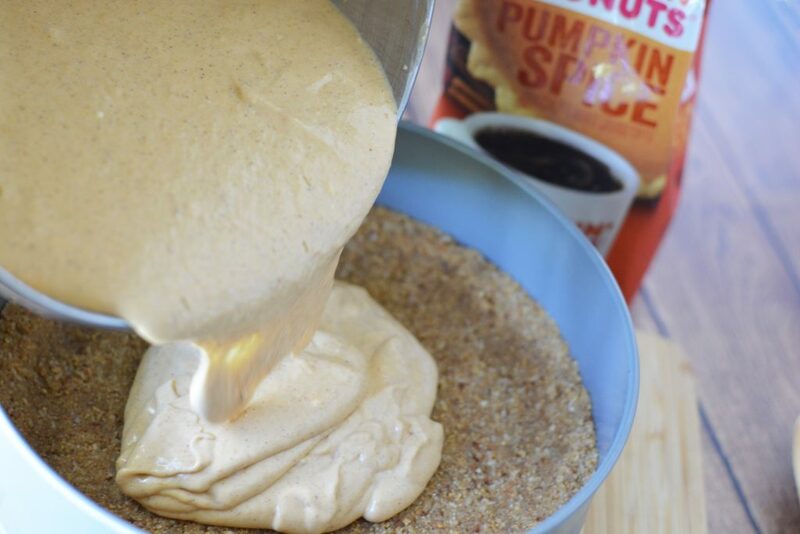 3 tablespoons strongly brewed Pumpkin Spice Coffee, cooled (you can also use pumpkin spice K cups if you like! 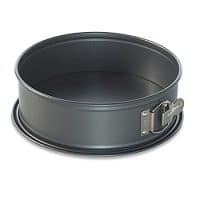 Grease the sides and bottom of an 8″ or 9″ springform pan with cooking spray. 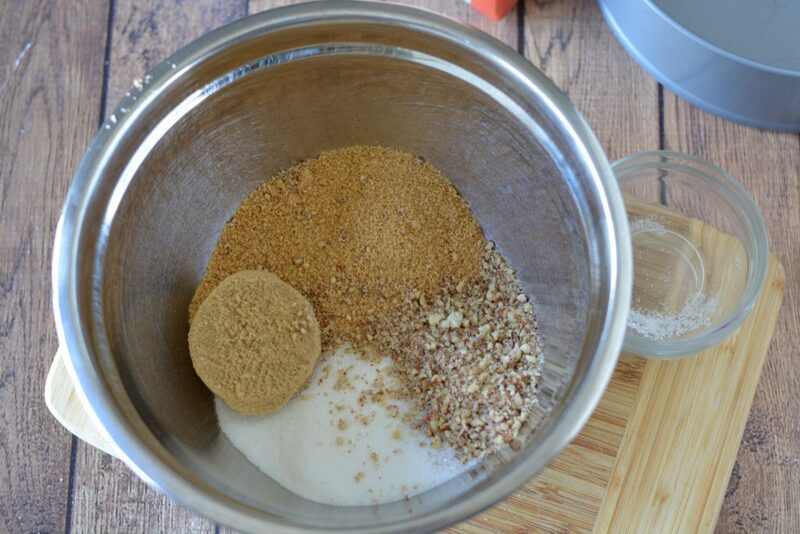 Combine graham cracker crumbs, pecans, brown sugar, and white sugar and mix well. 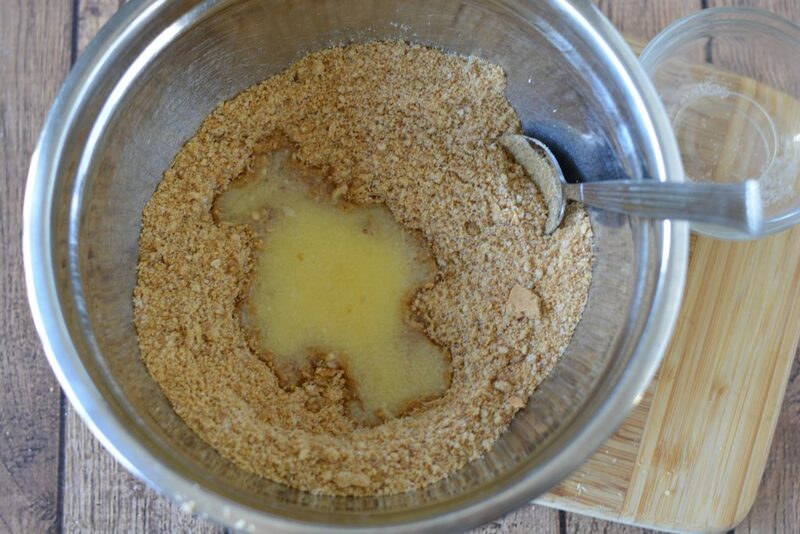 Stir in butter and mix to coat well. Press into the bottom and 1/2″ up the sides of an 8″ or 9″ springform pan. Chill. 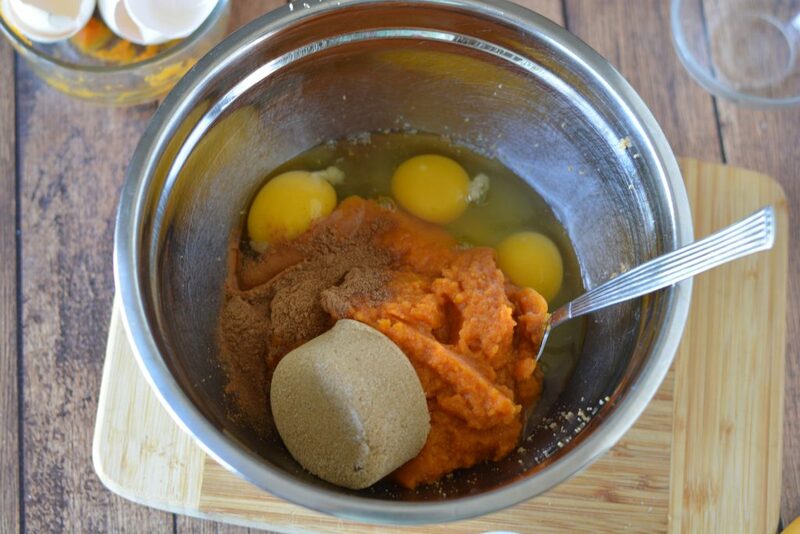 Mix together pumpkin, eggs, cinnamon, pumpkin pie spice, salt and brown sugar. Set aside. 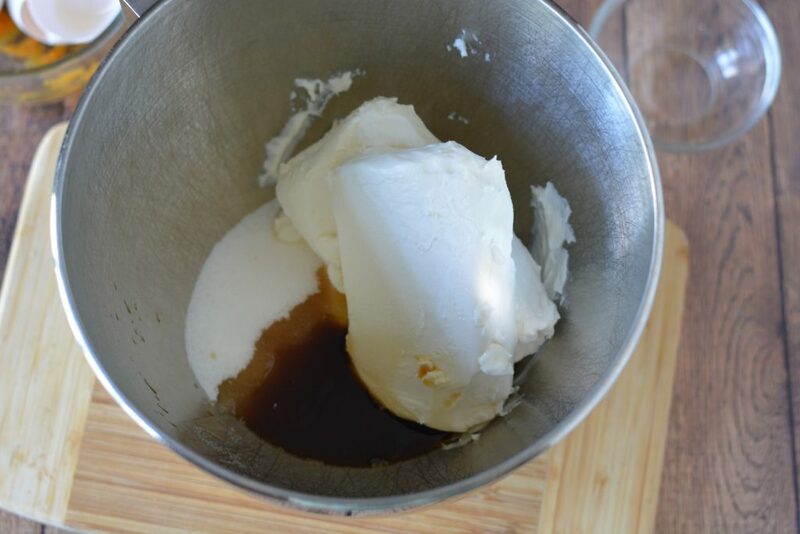 Add cream cheese, sugar, cornstarch, vanilla and coffee to a mixing bowl and beat on medium speed. Beat in pumpkin filling until smooth. Pour into prepared crust and bake for 50-60 minutes or until center is set. Remove from oven and cool. Refrigerate overnight and remove rim of pan before serving. This is the hardest part. The waiting. Just enjoy some coffee while you wait. 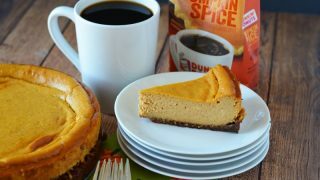 Serve with a cup of Pumpkin Spice Coffee and enjoy the cheesecake with family and friends! 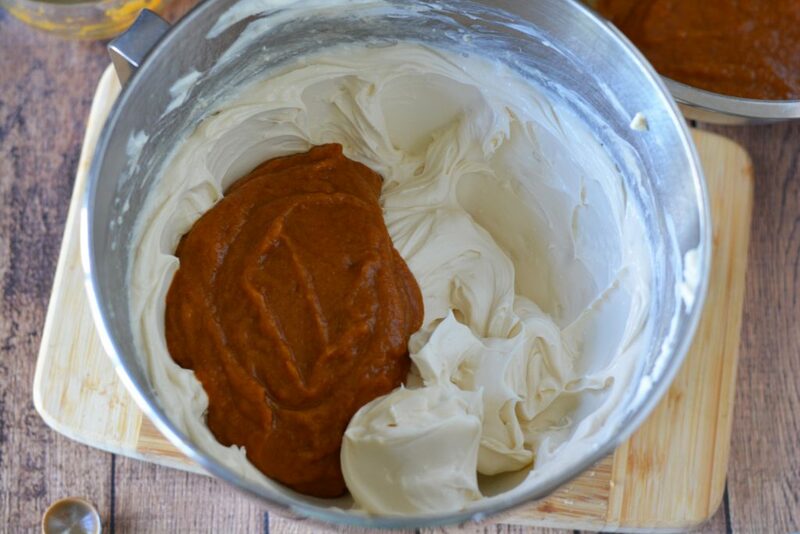 Pumpkin Spice Cheesecake Recipe- secret ingredient in this recipe- pumpkin spice and coffee pair to make for a delightful treat for your tastebuds! Grease the sides and bottom of an 8" or 9" springform pan with cooking spray. Remove from oven and cool. Refrigerate overnight and remove rim of pan before serving. Yum! Yum! Yum! What else is there to say? This looks delicious. I definitely want to try making it. Pinning for later. This looks and sounds amazing! I have been kind of scared of pumpkin cheesecake. I don’t know why, but I didn’t think I’d like it. 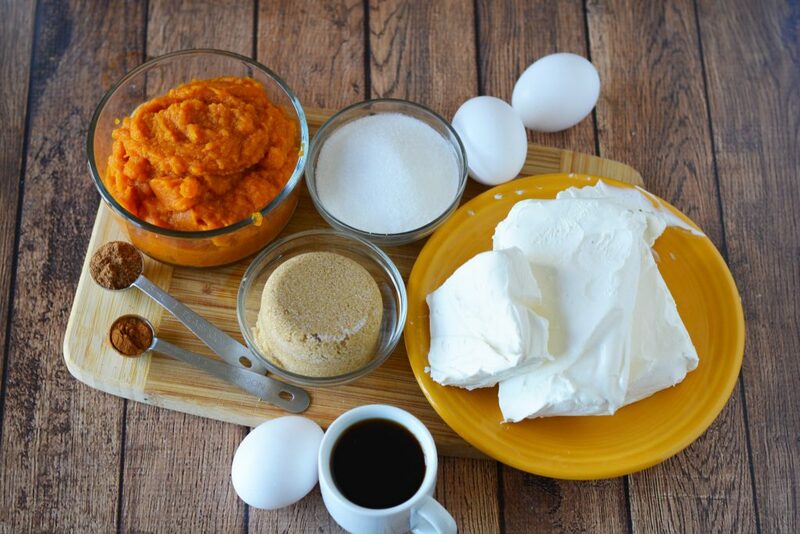 But, I do love pumpkin bread with cream cheese, so why wouldn’t I? Now, this looks amazing! My mouth is watering. I also love Dunkin Donuts coffee. I have always had a weakness for cheesecake despite the fact I don’t really get into sweets. I have never tried pumpkin cheesecakes before. How delicious! This sounds amazing!! 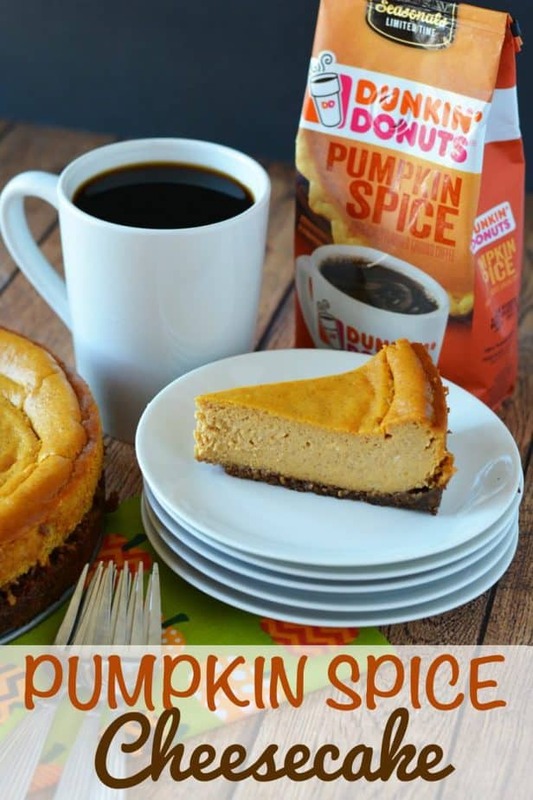 I love cheesecake and pumpkin spice, so this sounds like a great combo! Oh my gosh! 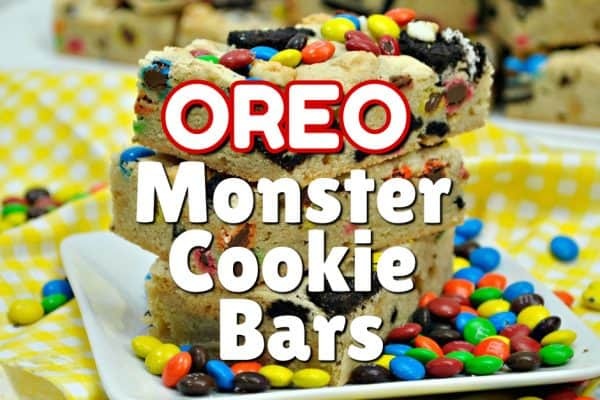 I need to make this and I need to make this NOW! 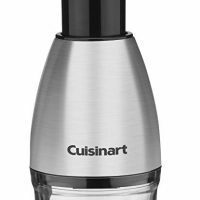 Seriously anything pumpkin spice i need and everyone thinks im crazy LOL but I know what i am going to be making this weekend! THIS! I’ve never had pumpkin spiced cheesecake… usually regular cheesecake or Godiva chocolate, since I like to go to the Cheesecake Factory. Looks like this would be tasty. You had me at cheesecake. It is my all time favorite dessert. I haven’t tried pumpkin spice. In the past I haven’t cared for pumpkin. 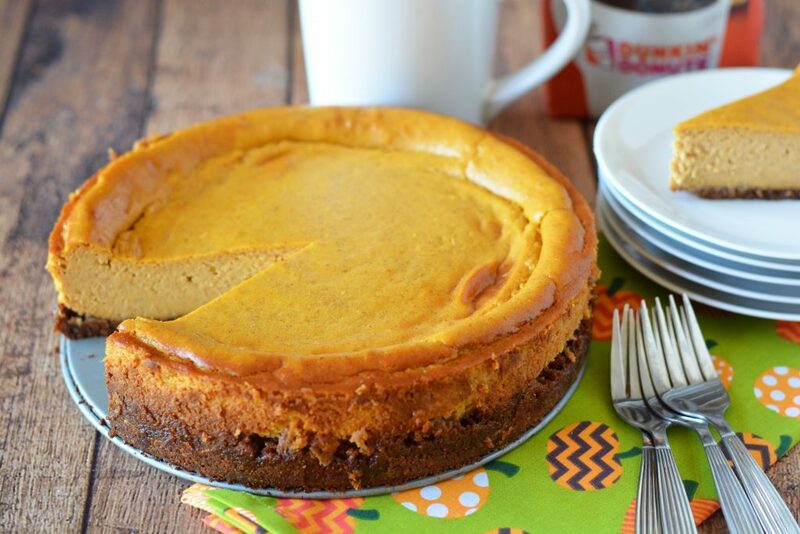 This Pumpkin Spice Cheesecake looks so delicious and easy to make. I will have to get the ingredients I need to make this for dessert this weekend. I am sure it will be a big hit. Oh my, that looks delish! I love pumpkin spice everything. Now I’m hungrier! LOL. This looks so good. 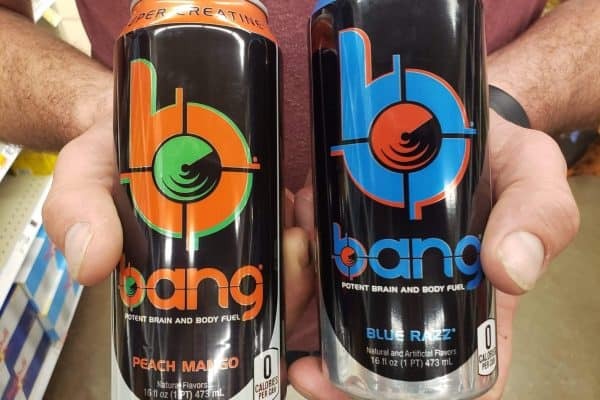 Two of my favorite things put together, I have to try this out! Wow! 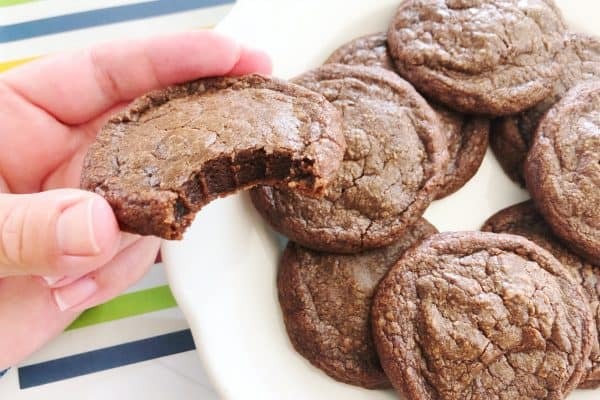 This recipe looks so amazing. I love pumpkin cheesecake. So yummy! I’m not gonna lie, I can’t get enough of pumpkin spice. Seriously. My blood type is now Pumpkin Spice instead of type A.
Pumpkin cheesecake is a staple at our thanksgiving feasts. This looks like a great recipe. I am a pumpkin spice girl too! This cheesecake looks delicious, I wish I had enough time to make one before I headed out to Bible study tonight. The girls would have loved it! This looks tasty and is something that my family would like. OMG, yes! This is why I love fall so much. Everywhere I look, all I see is pumpkin spice everything. Om nom nom.